We have a full range of competitive golf membership packages and if you join between 1st May 2019 and 31st October 2019 you will enjoy 3 MONTHS FREE membership in the year to 30th April 2020. Which applies to all categories of membership; 5 & 7 day Individual, Couples, Intermediate and Junior. If you join in May you will enjoy 12 months Golf for the price of 9 months. Paying half an annual subscription on joining and a quarter in October 2019. 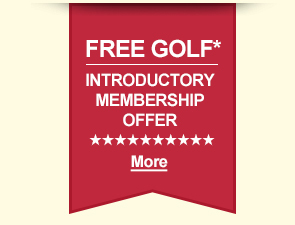 By October you would enjoy 7 Months golf for the price of 4 Months by paying a third of an annual membership. We are a friendly and relaxed club with a full program of competitions and social events. We have a fair and challenging course for golfers of all abilities to enjoy with a normal balance of par 3’s, 4’s and 5’s. Our course drains well and stays open all year. This is a great opportunity. Please contact us if you wish to join us and take advantage of this offer. Whitefields Golf Club offers a variety of golf membership packages, so that everyone can make the most of our beautiful course and facilities. For an annual one off membership subscription of £325 you will receive 100 points, if you want to play more golf you can simply purchase more points. You will have the ability to use 80 points at Whitefields, your home club, and 20 points can be used as ‘flexi points’ across any of the other PlayMoreGolf partner golf clubs in the UK. For more information, please Click here where you can also download a copy of our points matrix. We also offer corporate membership to local businesses. We have very active Ladies’ and Gents’ Competition Sections that play on a weekly basis. Once you become a member, you may like to join in. If you would like an introduction to our golf course or any further information, please call; Nick Hoare – Golf Club Secretary on 01788 521800 – email: nick.hoare@whitefieldsgolfclub.co.uk, or, David Mills – our Golf Professional.